A Delicious Bunch is due for release in July 2017. Your order will be processed and sent as soon as the book is released. For orders of 7 or more books, please contact Linda during business hours for a quote on delivery. This beautiful book is an amalgamation of gardener’s handbook and cook’s companion. It’s educational, inspiring and eye-catching. Organic growing notes and a beautiful full page images are included for 30 edible flowers. 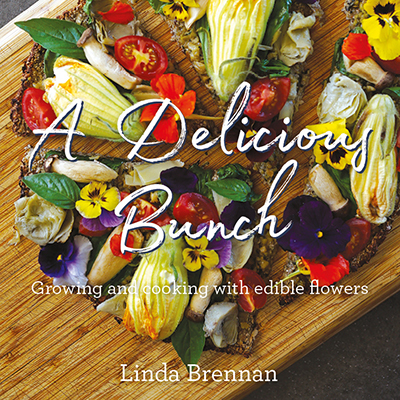 Lavish photography inspires both greenthumbs and cooks to grow the most sensational flowers and to use them in sumptuous savoury and sweet, floral-inspired dishes.